Surf News Network, 10 March, 2015. Hawaiian superstar Mason Ho has joined the Rip Curl professional surf team. Earlier this week Mason Ho signed a multi-year endorsement deal with the company from Torquay Australia. 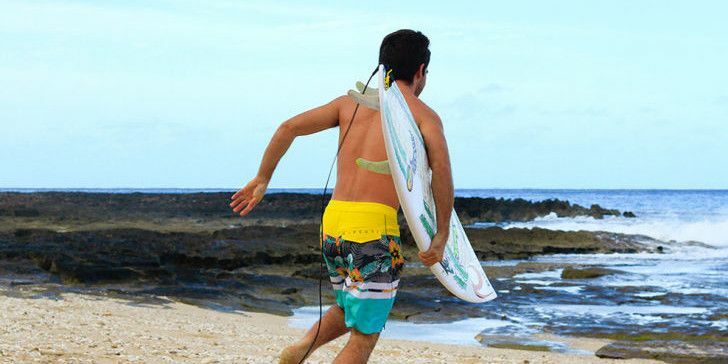 Hailing from Sunset Beach on Oahu’s famed North Shore, Mason brings it all to the Rip Curl program: progression, versatility, personality, legacy, and aloha. Son of legendary Hawaiian surfer, Michael Ho, it was only a matter of time before Mason came into his own. Over the past several years, the 26-year old regularfoot has transcended into one of the most exciting, entertaining, and versatile surfers on the planet. Hot off a victory at the Backdoor Shoot out and a runner-up finish at the Volcom Pipeline Pro, Mason joins the Rip Curl team sprinting into 2015. He’ll continue to compete on the WSL World Qualifying Series in pursuit of WCT qualification. However, renowned for his prowess without a comp jersey on, you can expect to see Mason joining teammates Gabriel Medina, Mick Fanning, Owen Wright, and Matt Wilkinson on Search trips around the planet. “In this next chapter, I want to go on trips with Mick Fanning. He’s an inspiration for me, and I’m ready to go find perfect waves with him,” Mason added.